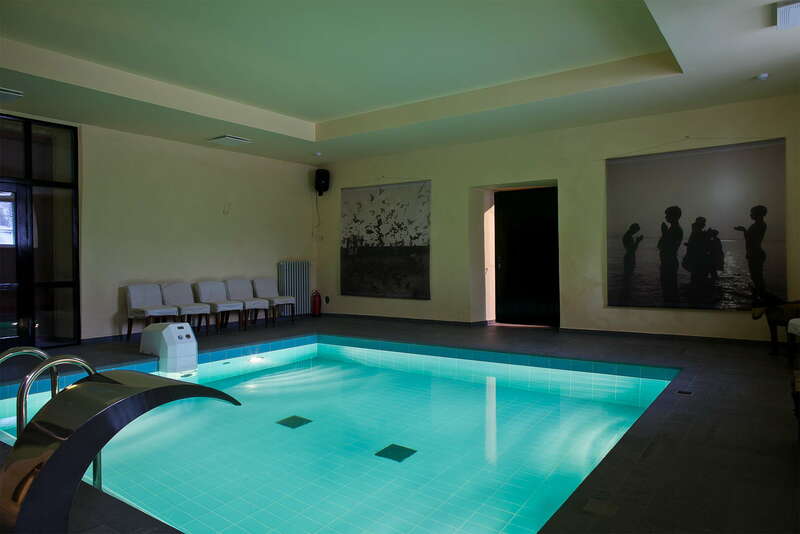 Kau Manor has a cosy sauna and indoor swimming pool located in the Coach House. Snacks and drinks can be ordered for further enjoyment on the premises. We kindly ask to order the use of sauna and pool minimum 72 hours in advance. Kau Manor rents out bicycles to explore the surroundings of the Manor. Perfect way to explore the nature and go for a picnic. Estonian Golf & Country Club (EGCC), member of European Tour Properties chain, was opened in 2005 and is chosen to Golf World Magazine’s prestigious Top 100 European Courses. The venue comprises the 18-hole Championship Sea Course and 9-hole links-style Stone Course, both designed by professional golfer Lassi Pekka Tilander. EGCC golf courses lie on a limestone plain by the sea between junipers, restored stone fences and protected national heritage where each hole has a story to tell. Holes built among unspoiled forests reach out to the beach and to the Jägala River. The elevation changes, oak pathways, old boulders and natural ponds have given the EGCC a chance to create a golf course like few others in the world. With its length and complexity, the Sea Course is a real challenge even for low-handicap golfers. EGCC golf courses are located 60 km from the Manor (50 min by car). The Manor’s reception desk is glad to set up the projection room for a cozy movie night, with a selection of more than 250 films. 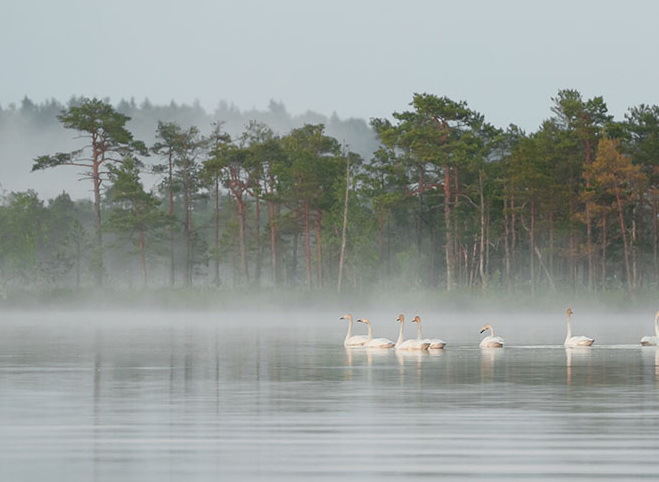 Estonia is a dreamland for nature lovers. This is the place where the land meets the sea, bogs are interspersed with virgin forest, fields and rivers and lakes. Hiking in Estonia comes naturally to the locals who tour forests and bogs year round to pick berries, mushrooms and go camping with friends and family. The surrounding landscapes of Kau Manor are wonderful nature getaway destinations. The raft sauna, set aboard a boat that sails the Paunküla water reservoir, is available for small groups or individuals. During sauna tours, guests can steam while enjoying the lake and its numerous islands, then jump straight into the cool natural water afterwards. Tennis courts are located 3 km from Kau Manor. We don’t provide equipment, so please bring your own. For more information please contact events@kau.ee or +372 5919 4600. Although not widely known, Estonia is an ideal country for observing one of nature’s most spectacular shows – bird migration. Situated between the Finnish Gulf, the eastern coast of Baltic Sea, and Lake Peipsi near the Russian border, it is a natural flyway between breeding and wintering areas for millions of Arctic waterbirds. The country’s long and indented coastline, shallow and sheltered bays, straits, coastal meadows, marshes, and lagoons are teeming with Steller’s eiders, Ural owls, pygmy owls, great snipes, nutcrackers, citrine wagtails, seaducks, hazel grouses, lesser spotted eagles, and seven species of woodpeckers. Other wildlife includes butterflies, dragonflies, wild boars, wolves, brown bears, beavers, flying squirrels, and a thriving population of lynx, one of the largest in Europe. Kakerdaja Fen, located 20 km from Kau Manor, is a fabulous and beautiful place, where at the center of two-level fen lies the picturesque Kakerdaja Lake. Paunküla village is located 10 km from Kau Manor. It boasts a pristine lake that fishermen love, and forests popular for mushroom hunting. The 700 year-old Kose Church, located 15 km from Kau Manor, is a fortified medieval church with a mighty tower and beautiful medieval arches. There is a historical vicarage and the funeral chapel of the von Kotzebue family. Kose Shelter is located near Kose, about 15 km from Kau Manor. This 2500 m2 subterranean shelter with 144 rooms was built in 1983 in case of atomic war and is now in the process of being renovated as part of an effort to preserve Estonian historical war architecture. Kakerdaja Fen, located 20 km from Kau Manor, is one of the largest wetlands in Kõrvemaa. This 1000 hectares area of fen is on two levels, at the center of which lies the picturesque Kakerdaja Lake. Built in the 18th century, Seidla Windmill is the first renovated authentic Dutch windmill in Estonia. Just 36 km from Kau Manor, it is a fully functioning corn mill and can be visited by appointment only. The Imavere Ostrich Farm about 60 km from Kau Manor boasts a wide variety of birds in addition to ostrich, including emus, peacocks and many interesting breeds of chicken. The farm runs a dinette where guests can sample different dishes made from ostrich products. Situated 26 km from Kau Manor, this periodically rising spring – part of an underground river in the Nabala-Tuhala protected area, overflows during times of high-water. The folk myth says that the Witch’s Well begins to overflow when the witches of Tuhala whisk themselves inside the well. 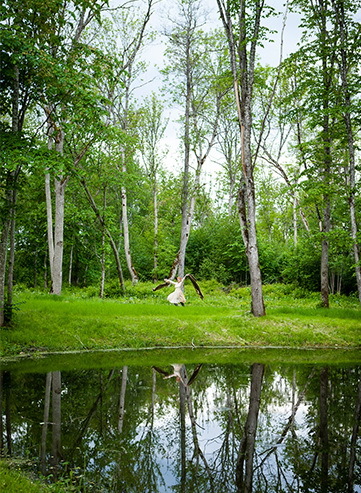 Close to the highway between Tallinn and Tartu, next to the Pirita river bridge and only 20 km away from Kau Manor, are the Blue Springs of Saula. The spring water is reputed to have a remedial power to heal the eyes. Located 15 km from Kau Manor, Kuimetsa is one of the biggest and most unique geological karst areas in Estonia, with collapsed valleys, funnels, hollows, channels and caves. The biggest cave is 12 m long and 8 m wide. Soone Farm, 38 km from Kau Manor, offers riding with professional equestrian trainers. Kau Manor, providing all the amenities natural to the region, offers guests the thrilling experience of bounding across a frozen lake surrounded by tall and sacred trees, and holding tight to the reins of a dog team – a once-in-a-lifetime way to explore the Estonian forests and trails. 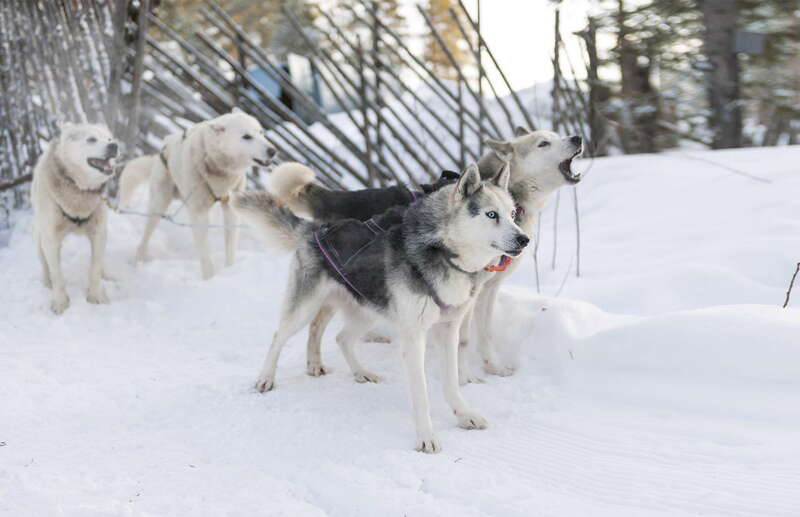 Enjoy the ride in the hands of an expert guide or mush your own team for an added thrill. Thrilling way to explore the Estonian forests and trails.